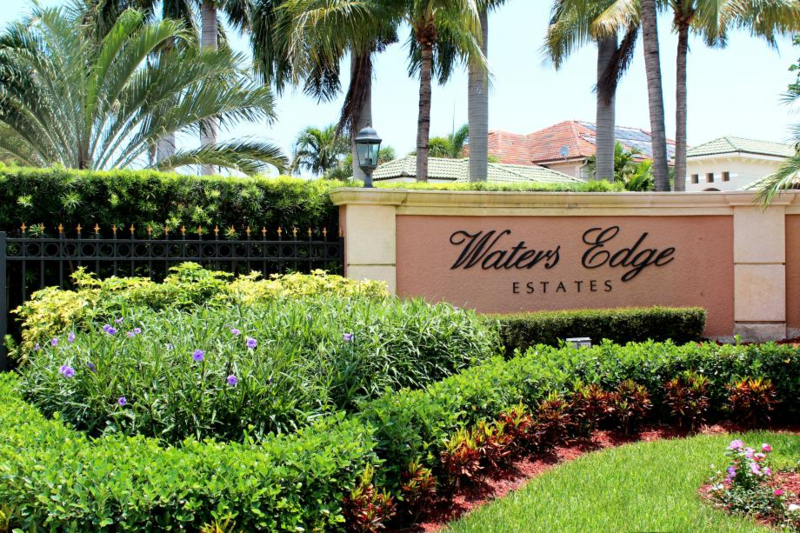 Waters Edge Estates is an upscale gated community comprised of 21 luxurious estate homes located north of Indiantown Road and west of Alt A1A. The homes range in size from 2,700 to 4,700 square feet of living space and offer three to five bedrooms. Amazing location in Jupiter, minutes to crystal blue water and Jupiter's inlet, a mile to the beach, and a short walk to theaters, restaurants, shopping and much more. Located in the popular and trendy ''Riverwalk'' area. Just a short walk to Fresh Market, Starbucks, new restaurants and shops. Zoned for A rated schools.